In the resources for this week, we find a video with Drs. Pallof and Pratt discussing strategies for assessing interaction and collaboration in an online environment. In the video, they mention different things that could be used as collaboration assessments; like debate, case studies, simulations, and role-playing, but if we look at many of our course situations, the only collaboration activity we can find is discussions. 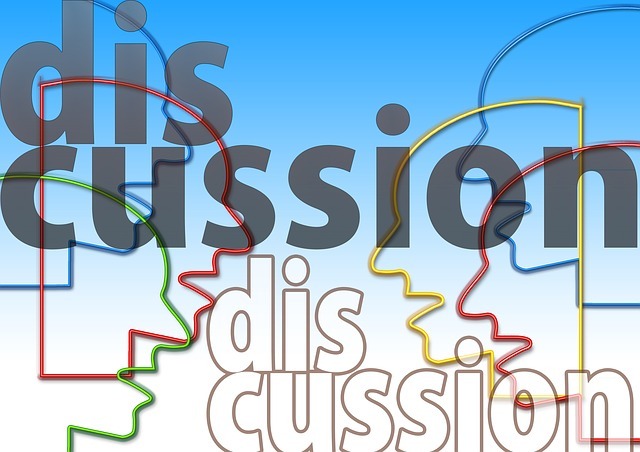 For this discussion, you and you peers will discuss why many instructors are reluctant to use anything else but discussions as collaboration activity. How many of the collaborative activities that you met in online courses are other than discussion forums? Why do you think instructors choose discussion forums instead of other collaboration activities? If you would create a collaboration activity for your work situation (right now or prior) would discussion forum be your first choice? Why/Why not? What kind of activity would you choose? In this discussion, you should use mainly your experiences and thoughts of discussion forums in the posting. Other resources could be interesting but are not mandatory. Millan your DQ is interesting, however, if someone outside of this course read your posting they might be confused. You start off with “In the resources for this week, we find a video with Drs. Pallof and Pratt discussing strategies for assessing interaction and collaboration in an online environment.” I think if you discuss details of a video, the video should be attached to the post. Other than discussion forums, I have been associated with 10-20 collaborative activities. I think the discussion forums are chosen because they are individually graded, simplicity, and are used as “Attention-Getters” to begin the class session. I would not use a discussion forum as my choice because discussions may not lead to apply what was discussed in the forum. I would choose an application. The application would provide me with an insight on our strengths, weaknesses, and communication. You are correct we do not really get enough collaborative activities in our online courses. It would be nice if we had more activities that were collaborative. I think for my whole 2 years here at Walden U we have done maybe 2 or 3 collaborative activities. One activities came at the beginning of our course work where we had to build a wiki and do the ADDIE process. This was a useful activity because my group actually did conference calls where we actually talked to one another and with the same project we Skyped. I think instructors do not do collaborative activities because they are not always in control of their course online. I think Walden plans the course and the instructors facilitate the material and our learning experiences by having office hours, answering discussion questions and grading projects and discussions at the end of the week. I also have had very little collaborative assessments in our MSIDT program other than discussion posts. While I was initially very hesitant to participate in group assessments, I now understand how useful they are as a teaching tool that provides some real world experience and would welcome them much more openly. I would have benefited from more experiences that were collaborative. Outside of our courses, have you collaborated on many projects in your work? What was the one that stands out the most for you?